We provide Ecommerce Order Fulfilment services at our Ecommerce Hub in Ireland. Our experienced team manage inventory, Ecommerce Fulfilment, Pick and Pack & Shipping. Our team receives your goods, carries out detailed checks and finds a storage location for it, ready for Order Fulfilment. Your Ecommerce orders are automatically received and queued for order fulfilment. 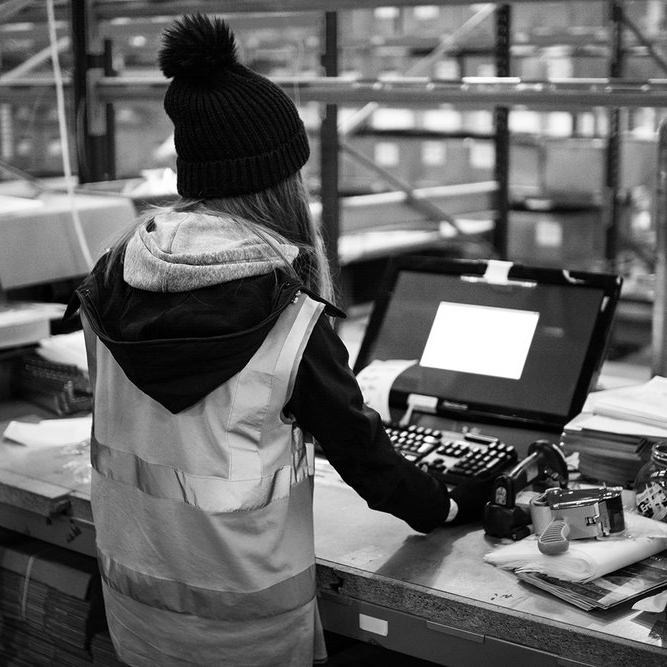 Our expert Order fulfilment team pick and pack your orders with care, achieving a 99% accuracy. Orders are shipped to your customers same-day, with Ecommerce tracking from payment to doorstep. Order Fulfilment by Autofulfil - Simple, fast and efficient outsourced fulfilment solution for Online Retailers and Ecommerce companies. Read what our Customers have to say about our Order Fulfilment Services. Autofulfil Fulfilment Centre integrates with Domestic and Global Carriers, to provide a seamless Ecommerce Order fulfilment and Pick & Pack service for Online Retailers. Sellers should consider sending stock to European “fulfilment centres” or warehouse as stock currently in the UK may not be able to be sold to EU countries.